As a scorching heat wave engulfs large parts of Europe this summer, fires have torn through dozens of countries across the European Union. From Germany to France to Sweden, countries in Western Europe are set for another intense heat wave this week with temperatures soaring above 90 degrees. 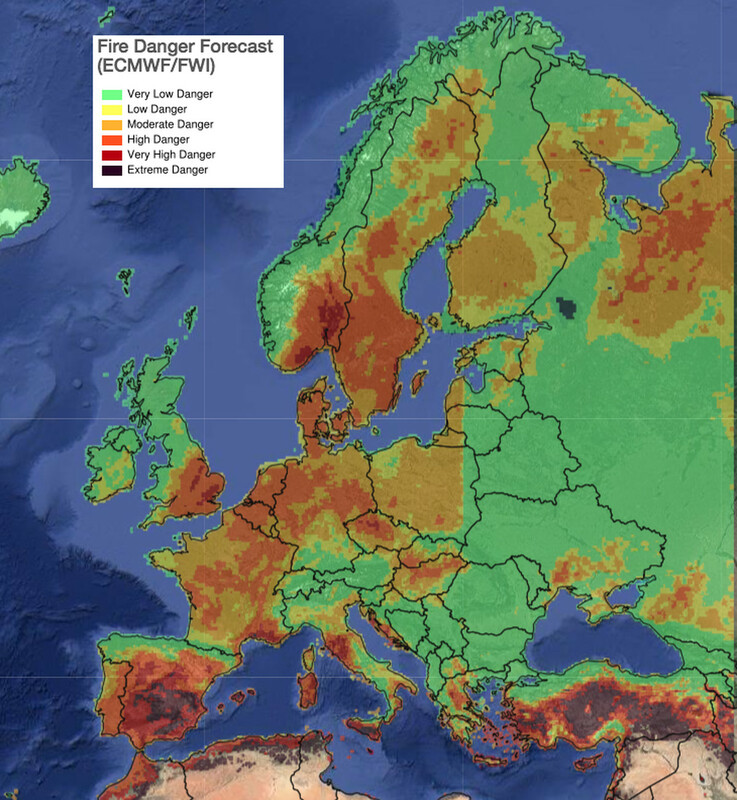 As firefighters continue to battle treacherous blazes that have killed scores of people, here’s a look at what some European countries face as wildfires continue to scorch large swaths of land. As a scorching heat wave engulfs large parts of Europe this summer, fires have torn through dozens of countries across the European Union. 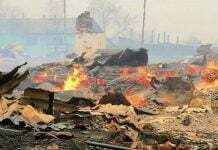 More than 80 people died in a wildfire that swept through the seaside coastal town of Mati. Authorities suspect the cause of the fire was arson. “The country is going through an unspeakable tragedy,” Greek Prime Minister Alexis Tsipras said on July 24. The fire was the deadliest in a decade. About 200 firefighters were battling the blaze in Mati. Confused tourists and residents were forced to flee to the sea to escape the fast-moving blaze. Amid the chaos, some people got trapped on dead-end roads or cliffs and weren’t able to get away. Tsipras declared three days of national mourning to honor those who died. As an unusual heat wave continues to engulf Sweden, with temperatures reaching above 90 degrees just north of the Arctic Circle, at least 40 wildfires are burning across the country — home to more than 9 million people and an amazing array of wildlife. 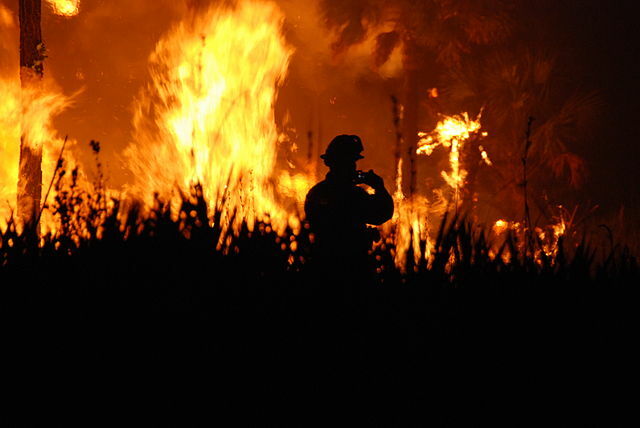 Some fires were sparked by thunderstorms, with an estimated 62,000 acres burned so far. 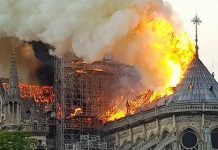 Italian planes and Norwegian helicopters have been fighting the fast-moving flames, and more help from other European countries, including France and Germany, is on the way. However, strong winds will continue to push the fire. No deaths or injuries have been reported, but officials warned thousands of people to be vigilant and stay indoors because of poor air quality caused by smoke and ash. Firefighters are still battling several wildfires in Finland as meteorologists with the Finnish Meteorological Institute warn that there’s a high risk more blazes could ignite in the southern and central regions, where there was a brief reprieve because of rain and subsiding winds. Over the next five days, dry, warm weather — with the chance of winds — is forecast. Fires have scorched forested areas in Lapland, a northern province near the border with Russia. Dozens of people were evacuated from summer cottages in the south. Dry terrain in the Scandinavian country created ample fuel for the fires. Firefighters have been battling wildfires in various parts of Norway since May. 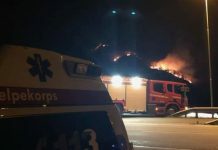 The fires, now mostly under control, became deadly when in late July, a firefighter died battling a blaze in southern Norway. Earlier this year, the country experienced record heat. The risk of forest fires remains high as above normal heat is expected to continue into August. Although fires have been contained, the Norwegian Meteorological Institute’s website said there was “very high” risk of forest fire in various parts of the country. Wildfires have scorched more than 1,600 acres since July 17. Officials requested foreign assistance about a week later to fight the large forest fires. The extreme heat has made it difficult for firefighters to put out the fires and the weather outlook looks grim. 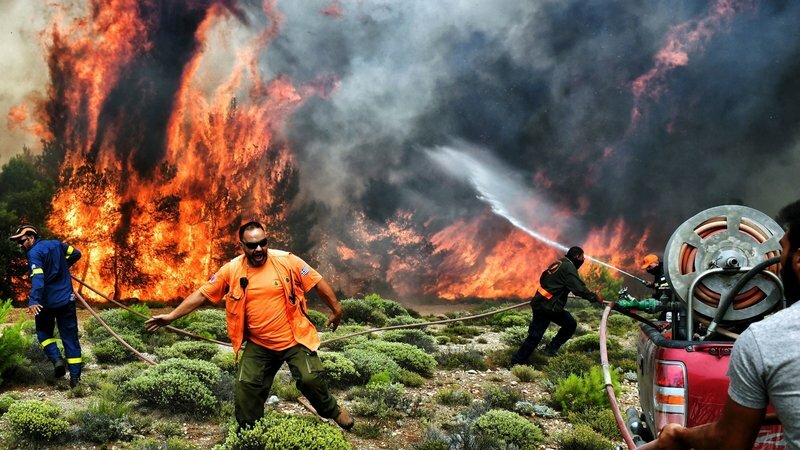 These wildfires are going to grow larger this week and new ones are going to start and spread as Europe is being engulfed by an unprecedented heat wave this week again. AMERICA ,HAS BEEN WARNED and WARNED to stop their demonic military extortion of other countries,THEY’VE USED THEIR STARWARS PLATFORM,LAZER DRONES,AND TARGETED INDIVIDUAL PROGRAM,on the entire world,…TO STEAL THEIR MONEY AND RESOURSES,if they don’t stop,AMERICA WILL BE NUKED INTO ASHES,you were warned,but SATAN is coming to be your new DADDY..IF YOU DON’T STOP…..
Could be, but America is not the whole world! The World is being set up for the man w/a plan (son of perdition) who’ll (seemingly) have all the answers! The World chooses to not believe the Truth (Roman’s chapter 1) so they’ll believe the god of this World! Arizona, we have several friends all over the State of Arizona – Just ‘who’ is giving the warning?! I’ll put my trust in the Creator, the One Who Saved me – His Word has been spot on from the beginning up til now, no reason to believe that future prophecy’s won’t be spot on!